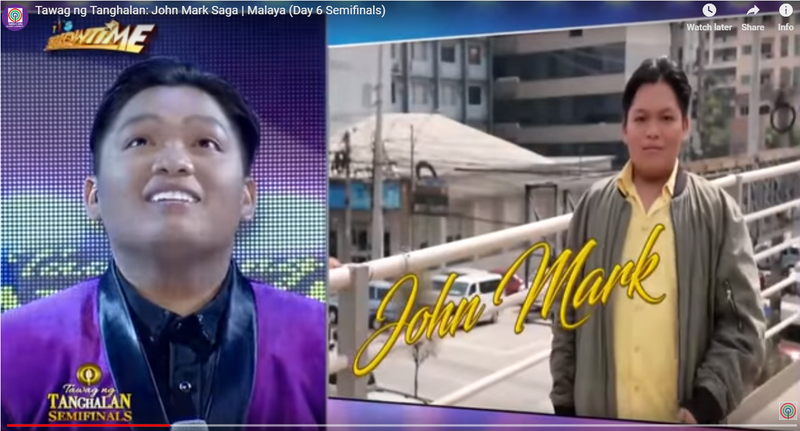 The quarter 2 semi-finalist of the Tawag Ng Tanghalan John Mark Saga has moved audience and judges for his touching rendition of Moira Dela Torre's song "Malaya". On the video, it could be seen judges being emotional upon internalizing every words of the "hugot" song of Dela Torre. The singer and song writer Moira Dela quickly express her gratitude for the best rendition of the song saying, "GRABE ANG GALING SIGE PO SAYO NALANG YUNG KANTA MAS MASAKIT NUNG KINANTA MO".